Italy has failed to qualify for the World Cup. Neil and Dan teach you how to use language in the news in your everyday English. Italy, four-time champions, have failed to qualify for the World Cup for the first time in 60 years. 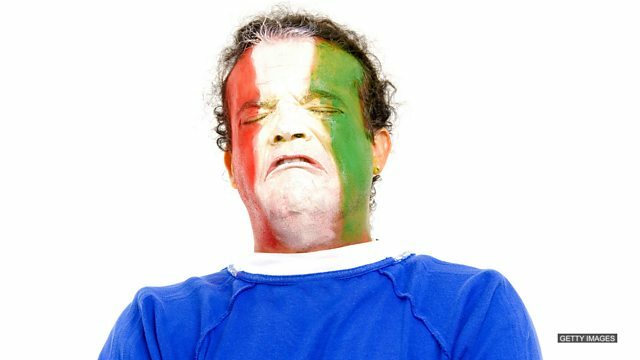 Italy’s World Cup qualifier ended nil-nil. Nil means zero and is associated with football. Can you match these sports to their associated scoring terms? For the first time in 60 years, Italy have failed to qualify for the football World Cup finals. The four-time winners of the competition were held to a nil-nil draw by Sweden in the second leg of their play off in Milan. When I finally arrived home late from work, my wife ______ at me because she thought I'd been drinking in a bar. The ______ report put the blame firmly on the minister's shoulders. Would you like an orange. After the football game, they're always ______.